The sensitive back-illuminated CMOS sensor and bright f/2.8 lens give you the freedom to shoot underwater or in low light. The 5x optical zoom offers a flexible range of 24–120mm (35mm equivalent). And the 10x Dynamic Fine Zoom effectively doubles your reach to 240 mm (35mm equivalent).? Macro mode lets you capture extreme close-ups of tiny wonders above or below the water. Revel in the details with 4K/UHD video. See more of the world. Then show more of the world. Grab ultra-high-definition video and let them know what they’re missing. Easily shoot stunning 4K/UHD 30p footage, or record Full HD (1080p) video on land or underwater. An AE lock helps capture smooth footage as the light changes, which is especially handy when filming underwater. You can save frames as photos when viewing footage in playback mode, and optimise video for sharing on social networks by recording in MP4 format. A wind-noise-reduction function can reduce the sound that is produced when wind passes over the camera’s built-in stereo microphone. The creative edge. It’s yours. Knows where you go. Shows where you’ve been. Geotag your shots and log your journey. 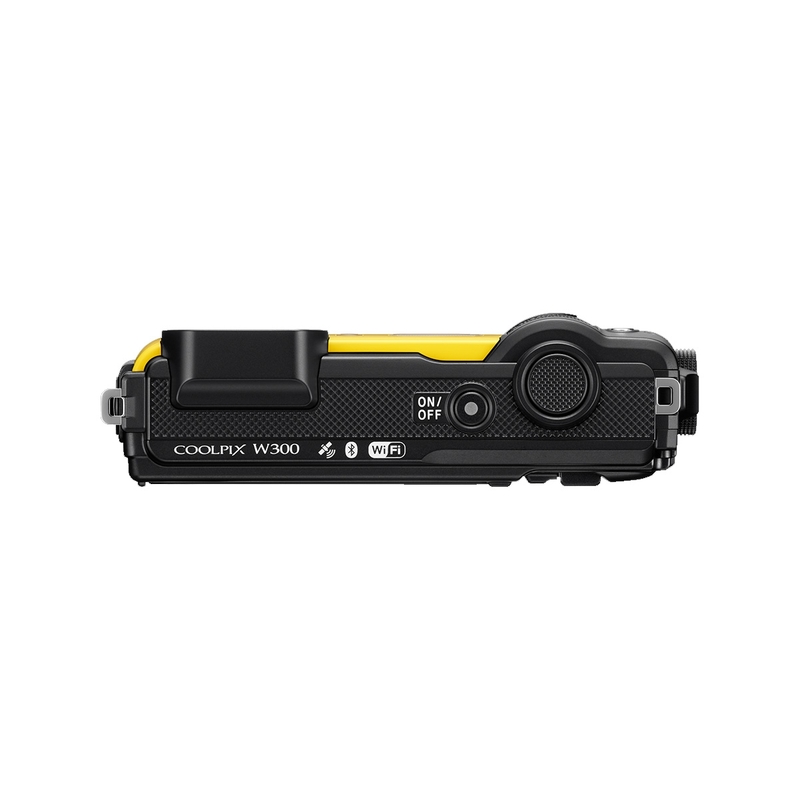 Support for GPS/GLONASS/QZSS lets you instantly check your position or water depth on the camera’s monitor. Track your altitude or underwater depth with a dual altimeter/depth gauge. The camera’s Tool button instantly displays GPS, altitude/depth or air pressure/water pressure readings on the monitor image. Altitude and water depth information recorded at the time of shooting can be included in the image data (EXIF). Share the view. Stay connected via SnapBridge. 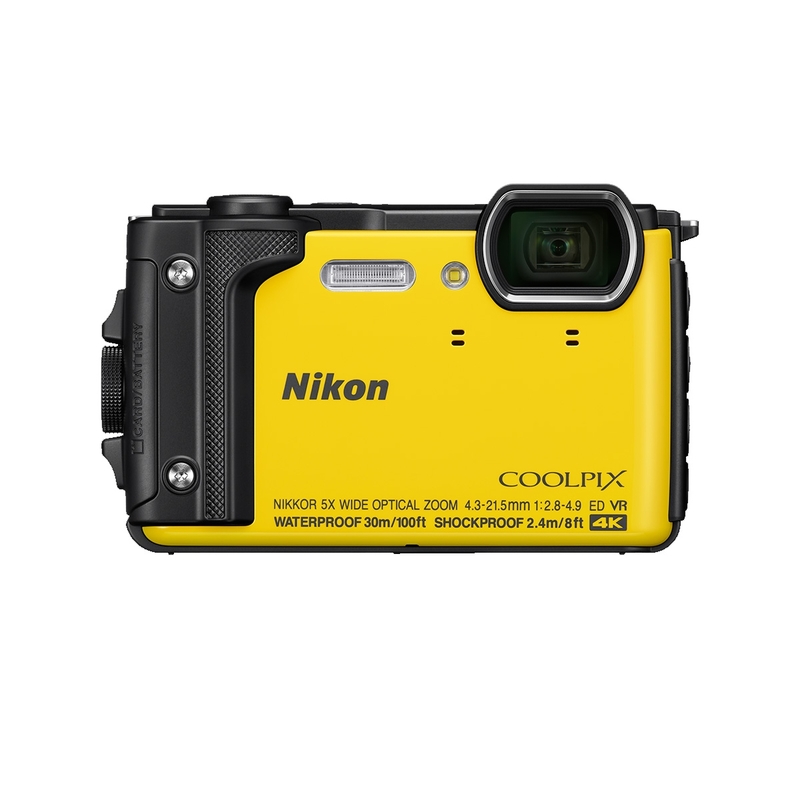 Nikon’s SnapBridge lets you keep the COOLPIX W300 constantly connected to your smart device via Bluetooth® low energy technology.? Sync photos to your device as you shoot, without having to reconnect each time. Transfer movies manually whenever you want via the camera’s built-in Wi-Fi®.? SnapBridge connectivity also lets you use your smart device to shoot remotely. Shoot sharp and steady. On land or under the water. Adventure doesn’t wait. 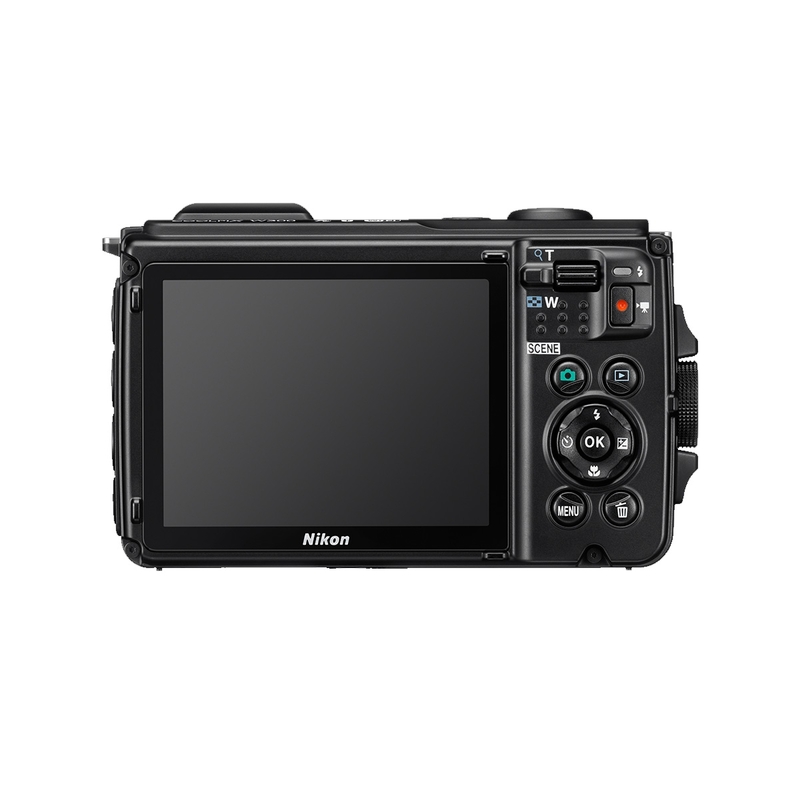 This camera’s speedy autofocus and impressive Vibration Reduction deliver fast, steady, spot-on shooting. The fast autofocus (AF) system with Target Finding AF technology keeps the focus on your intended subject, even underwater or in low light. Subjects snap into focus incredibly quickly, whether you’re taking an underwater portrait of your diving buddy or filming action as the daylight fades. 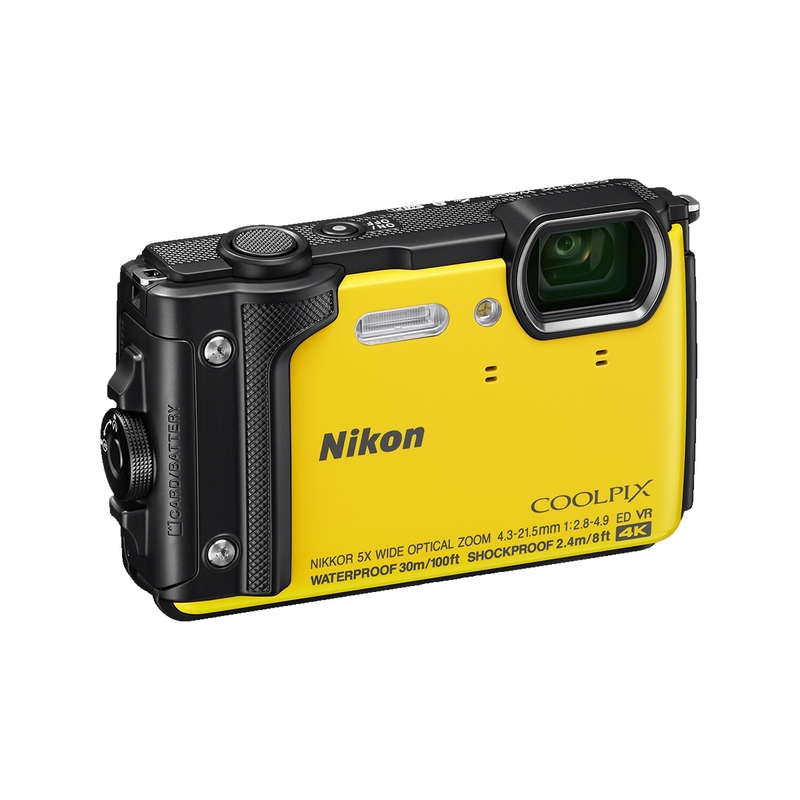 Nikon’s five-axis Hybrid Vibration Reduction compensates for camera shake so you get steady video footage. Perfect when shooting the scenery from the back of the jeep. Easy control for lives rich with adventure. The world is waiting. Go find it. The camera’s tripod socket is just as useful for accessories—like Nikon’s underwater flash—as it is for shooting time-lapse movies with a tripod. The tripod socket accepts a variety of accessories (including a selfie stick) as well as a tripod. 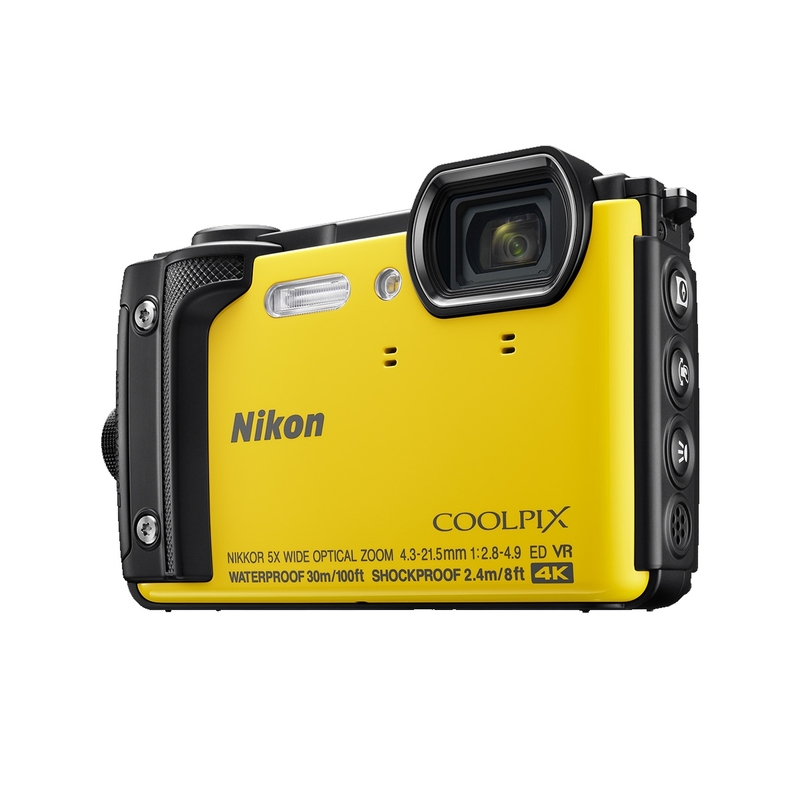 And thisd camera is compatible with Nikon’s SB-N10 underwater Speedlight, which can be used to depths of 30 m. Use it to shesome light in murky underwater environments and amaze your friends with the vibrancy of your underwater adventures.